Action: Ideal for people who stand or sit for long periods of time, are exposed to excessive heat, or are sedentary. Works by providing an intense cooling effect that relaxes tensions in aching muscles, revitalising, toning and alleviating heaviness. In combination with elastic compression bandages, helps combat swelling due to its active ingredients that tone, moisturise and firm the skin while also providing astringent action. 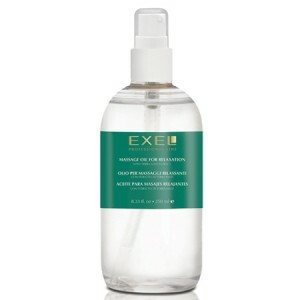 INGREDIENTS: Hamamelis, Witch Hazel and Ginkgo Biloba leaf extract, Horse Chestnut extract, Menthol and Camphor. 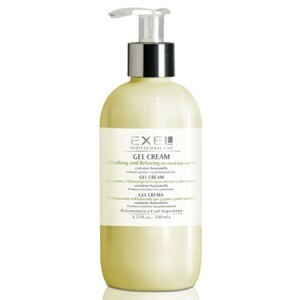 This Gel Cream moisturises and softens with a pleasant texture; it alleviates heaviness while offering a cooling sensation and an immediate feeling of relaxation. 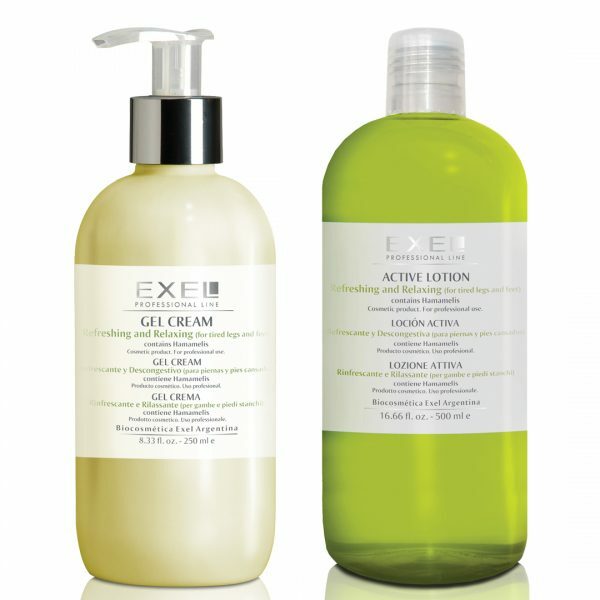 Soothes tension caused by aching muscles, revitalises and tones the area. Helps prevent premature skin ageing, diminishing the unattractive appearance of varicose veins, spider veins and swelling (ideal for those prone to these conditions), while providing astringent action. Does not leave a greasy or sticky residue. RECOMMENDED FOR: use as a final product after circulation massages for stimulation of venous return, lymphatic drainage and reduction of swelling. INGREDIENTS: Troxerutin liposomes, Horse Chestnut, Witch Hazel and Ginkgo biloba extracts, Menthol, Camphor.